Brooklyn teenager Izzy Daniels is training to become a boxing champ -- because it's his dad's dream. Intrigued by the cool moves involved in Double Dutch, he agrees to help out his neighbor Mary when she needs a fourth member on her jump rope team. The sport takes more talent and teamwork than Izzy expected, but along the way, he learns it's more important to follow his own heart. Izzy Daniels is training to become a boxing champ -- because it's his dad's dream. Intrigued by the cool moves involved in Double Dutch, he agrees to join a jump rope team. See how he learns it's more important to follow his own heart on DVD. Keke Palmer sings It's My Turn Now. Izzy Daniels is training to become a boxing champ -- because it's his dad's dream. 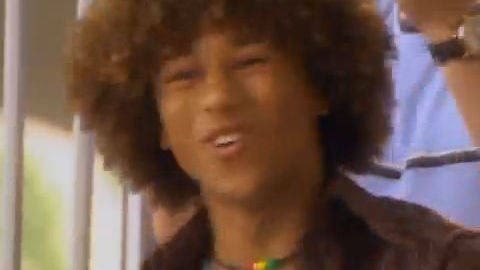 Corbin Bleu sings Deal With It from his Another Side CD. When Mitchie gets a chance to attend Camp Rock, she learns just how important it is to be true to yourself with the help of Shane Gray. Hallie Parker and Annie James are identical twins who meet at summer camp and make plans to get their parents back together.